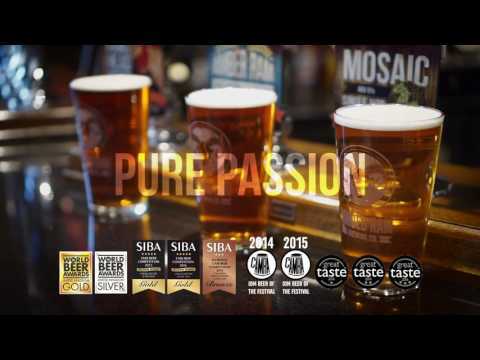 Take a look at our awards, and see why Hooded Ram is the place to be for fine crafted ale, and why we’re proud of all we’ve achieved. In the short time since Hooded Ram began brewing, we rapidly gained recognition. Winning the CAMRA Beer Festival 1st place just 7 months after we began with Little King Louis IPA (6.0%) and winning 1st and 2nd place the following year for Black Pearl Oyster Stout (5.2%) and again for Little King Louis. We’ve made quite the impression with our beers. Not only have we won multiple awards for our company and our products, but we’ve won the respect and support of our community and industry! And we don’t plan on slowing down. We’re still aiming high, working to take on ground-breaking, innovative approaches in our brewing process, which is regulated by the Manx Pure Beer Act. The Act by Tynwald (the Islands Government in 1874) stated that “only natural ingredients were allowed to be used in the production of beer”. As a result, we aim on bringing you the best beers known to man, and not just in the Isle of Man! Pure Passion - We only get out what we put in, and as Manx Law states, what we don’t put in! As well as the right ingredients we add extra-large helpings of passion, care and decades of brewing knowledge into everything we brew. What Makes an a Great Beer?